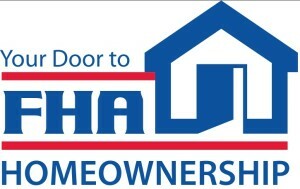 A while back I cited our US Department of HUD (Housing and Urban Development), guided by Assistant Secretary for Housing / Federal Housing Commissioner Carol J. Galante, had determined that the best way to fix the financial woes of the FHA, was to have low-to-moderate income borrowers foot the bill says, Local Records Office. “How the Payroll Tax Cut Is Costing Low Income Borrowers” described how mandates from Commissioner Galante had increased already expensive MIP (Mortgage Insurance Premiums) as a means to fund an underfunded 2% reserve requirement in the MMI (Mutual Mortgage Insurance) Fund and offset lost revenues as a result of the payroll tax cut. Now the Realtor lobby has taken up the cause and is sending in reinforcements with all of the mighty power and the big stick that they do yield. Brian Collins reports in The National Mortgage News from April 8, 2014, that NAR (National Association of Realtors) president Steve Brown sent a letter to the FHA (Federal Housing Administration), claiming that “between 125,000 and 375,000 renters” were priced out of the homebuyers market in 2013 due to high priced FHA mortgage insurance. FHA mortgage consumers are primarily low-to-moderate income borrowers and the financial burden for these initiatives is being forced on those who can least afford it. Until 12/31/2012, FHA MIP was also funding (amazingly by law) the Temporary Payroll Tax Continuation Act of 2011. I had hoped that the end of the payroll tax cut would mean the need to siphon (what the Vegas mob called “skimming”), MIP funds for this lawful but awful initiative would no longer exist and exorbitant mortgage insurance increases would be rolled back. I was wrong. Astonishingly, exactly one month later on 1/31/2013, HUD issued Mortgagee Letter 2013-04 actually INCREASING the MIP and closing loopholes to existing FHA mortgage borrowers to prevent them from eliminating MIP through equity growth. Clearly, HUD’s MMI Fund management strategies were absent real world analysis and had in fact failed to accomplish any meaningful results other than an unprecedented MMI Fund deficit. Squeezing more dollars from a shrinking pool of already stretched-to-the-limit FHA mortgage consumers was ill conceived and based on flawed analysis, the results speak for themselves. If MIP dollars were no longer needed to subsidize the payroll tax cut, and used solely to replenish the MMI Fund shortage, surely this additional inflow would significantly eliminate the need for additional MIP cost increases for low-to-moderate income borrowers. This of course was merely my common sense assumption and I was proven wrong, as Commissioner Galante’s Mortgagee Letter 2013-04 confirmed. As I said previously, this is an under-the-radar tax on low-to-moderate income consumers, and it is absent implementation resistance because it is so well disguised as to be undetectable. This is not a headline grabbing tax increase and there is no mechanism for reporting it on a paystub or a tax return. It is a quiet, tacit, mandatory add-on for all FHA mortgage consumers, measured in basis points and virtually invisible to the naked eye. It is so well hidden as to eliminate any risk of push-back from those affected, it is an incremental cost incurred by those who have no other choice because they are part of a captive audience. The financial burden for HUD’s inability to manage the FHA marketplace is now shouldered by those mortgage consumers who can least afford it. Since August, 2010, Public Law 111-229 has given HUD sweeping authority to arbitrarily raise FHA MIP premiums at the discretion of the Secretary, with no additional oversight or justification required to warrant these increases. This is more commonly known as a blank check. In her written testimony for the House Financial Services Committee Hearing back on February 13, 2013, Assistant Secretary Galante lamented the “difficult choice” of having to increase mortgage insurance premiums for the fifth time in only three years, arguing that “the premium increases made since 2009 have, to date, yielded more than $10 billion in additional economic value for the Fund.” The unvarnished facts are that HUD has raised an incremental $10 billion over three years to replenish the MMI Fund, yet it reported a $16.3 billion deficit for that fund in 2012. I submit that more effective fund management strategies may exist. HUD’s program of continually increasing FHA MIP is pricing low-to-moderate income borrowers out of the housing market and the NAR agrees. Historically low interest rates and low housing prices have increased the Housing Affordability Index (as reported by the National Association of Realtors) to record highs. But stir in increasingly costly mortgage insurance, and much of that affordability evaporates, turning homebuyers into wait-and-seers. FHA mortgage financing is the single biggest and in many cases, the only opportunity for “marginal” buyers to secure mortgage financing. HUD’s MIP pricing strategy is thwarting that opportunity and stalling the recovery in our housing markets. The brain trust collecting HUD paychecks need more effective ideas and they need look no further than this post. The solution to subsidizing the 2% reserve requirement for the MMI fund is to reduce FHA MIP premiums across the board. Yes reduce, as inlower. By reducing or lowering the costs associated with FHA mortgage financing, affordability increases for low-to-moderate income buyers and loan volume actuallyaccelerates. More people buy houses because more people can afford to buy houses! The premiums may be smaller but there will be lots more of them! FHA loans today are so thoroughly vetted, that the documentation requirements alone, significantly reduce risk profiles, defaults and foreclosures. QM (Qualified Mortgage) incents lenders to lend responsibly resulting in fewer defaults and foreclosures which mean fewer dips into the MMI fund to make a lender whole when a loan goes bad. More MIP inflows, fewer MMI fund dips and presto; a fully funded MMI pool with a 2% reserve. I am just a soldier at the front reporting back to command to redirect the offensive, lower MIP premiums to increase housing affordability and accelerate loan volume. The QM culture has already loaded logic and common sense into the credit policy breach and loan defaults are in retreat. Do this and the MMI Fund and reserves will be fortified and the housing market will be triumphant.